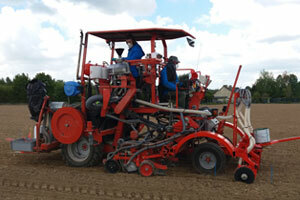 From 19th to 22nd February on the Staphyt trial station in Dame Marie Les Bois (France). You will have the chance to see in one place all the materials and tools we use to manage the sowing, harvesting, application of fertilizers and seeds treatment for your trials. Come meet and share your experiences with our technicians. To register, thanks to send us an email, click here.